The Dakota 310 is a compact and very manoeuvrable dual spinner pedestrian topdresser. It can spread up to 6 meters wide infinitely variable by individual hand controls on the handle bar. 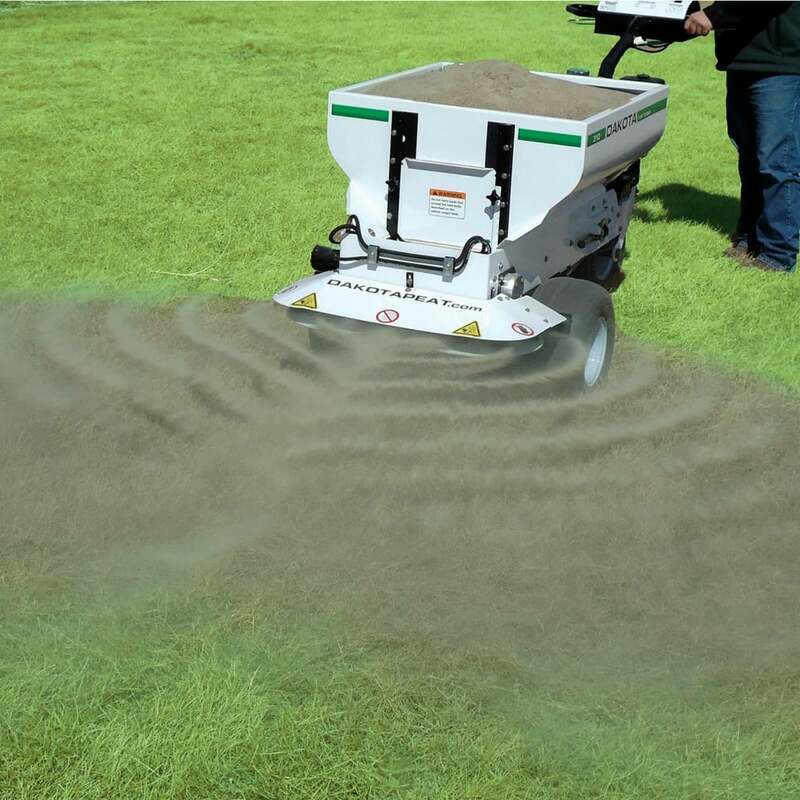 Robust construction of the Dakota 310 and its easy of use make it ideal for spreading sand, rubber crumb and other topdressings on sports surfaces where access for the other models of Dakota is restricted.